When we think of hard things, understandably our minds can focus on the pain or grit it will take to get through it. But, hard things can be good things that stretch and refine us like the grace of asking for help, resting, and allowing ourselves to be fully loved as we are. Lent is a season of intentional growth and self-reflection, with the reassuring peace of knowing how it all ends— or rather gloriously begins— on Easter Sunday. It is a time to cultivate deep roots with daily intention. Whether you observe Lent every year or seek graceful refinement, this is for you. You'll receive a short and simple, but mighty, daily engagement from me starting Ash Wednesday, (March 6th) through Easter Sunday. Let's do hard and good things this Lent. 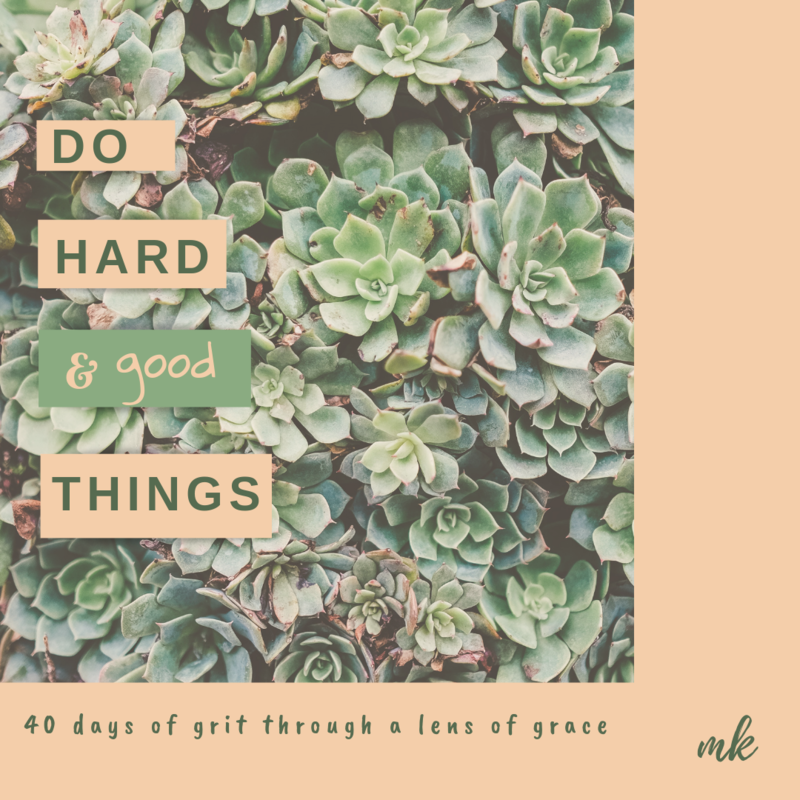 40 days of grit through a lens of grace, delivered to your inbox in a small daily dose. Hard things can be good and growing things. You'll receive your first email Wednesday, March 6th! Look foward to growing with grace this Lenten season.